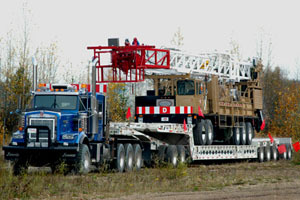 ﻿ Careers - Total Oilfield Rentals Ltd.
Total Oilfield Rentals Ltd. is a diverse, growing company in a vibrant industry. We have one the most extensive oilfield rental fleets in Western Canada and one of the newest fleets of transportation equipment in the industry. People are our most important asset. Our diverse branch locations offer potential employees a wide range of career opportunities, as well as significant room for advancement. Keeping people safe is a core part of our culture, Our safety program serves to build a strong, positive, environment for our employees, and our customers.